From August 13th until August 30th 2007, the Institute of Mining Engineering I undertook a field trip to Sweden and Finland. Led by Prof. Martens and Dr. Rattmann, six mining engineering students and six scientific researchers of the institute took part in the fieldtrip to visit several mining and mineral processing sites in the northern part of Scandinavia. Europe`s biggest Copper surface mine Aitik, operated by Boliden AB with an annual production of about 17 mio. tonnes of ore, was one of the highlights. Visiting the iron ore mine Kiruna was another highlight; with its from surface remotely controlled and partly-automated ore production of about 15 mio. tonnes per year, it is not only one of the world`s biggest but also a cutting edge technology underground iron ore mine. Furthermore, Sweden`s deepest underground mine, the Renström mine in the Boliden Area and the adjacent processing plant as well as the Grapenberg mine, an underground silver mine, and the underground zinc mine Zinkgruvan, which is producing since 1857, were visited. By visiting the mining machine manufacturers Sandvik in Sandviken and Atlas Copco in Örebro, the attendees were able to catch up with the production of mining equipment, starting with the blueprinting and planning up to the final assembly. 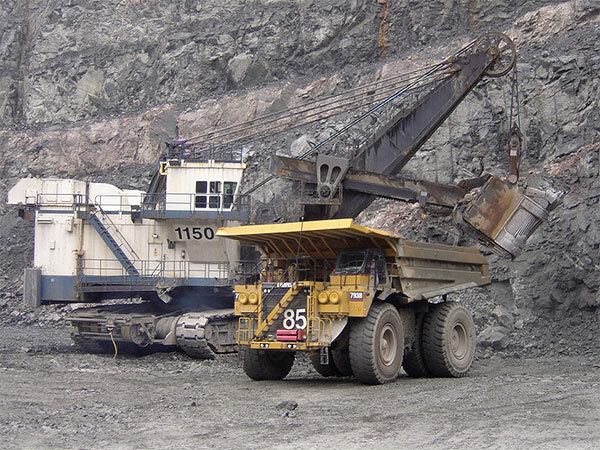 In Finland, two underground mining operations were visited: the rather small gold mine Pahtavaara, located north of the Arctic Circle, and the state-of-the-art chromite mine Kemi, which started production in 2004. Besides the technical and operational aspects of mining, the attendees were able to learn more about the variety and specialties of the Luleå University in Sweden and their facilities, their field of research and the academic education in Sweden. Cultural visits were also included in the trip, e.g. the visit of the church town Gammelstad, a World Heritage Site.